Every once in awhile Joe and I ponder where we'd live in Canada if we could choose absolutely anywhere. It's a tough decision - Canada is huge and has so many wonderful regions - but the Okanagan is consistently considered a frontrunner for a potential home. Nestled in Canada's most Western province, British Columbia, the region is flanked by mountain ranges yet home to some of the warmest temperatures in the country. It's those warm temperatures that make it ideal for growing fruit. In peak season, you can hardly drive a kilometre without a 'Fresh Fruit' stand or sign along the side of the road. Those Okanagan peaches are so delicious. (I'm salivating as I type.) 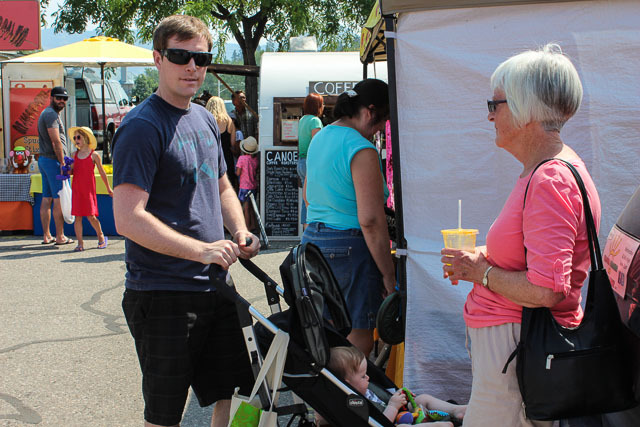 The Farmer's Markets are plentiful and people tend to really embrace an outdoor living and healthy lifestyle. The summer has everyone spending their days on the lake while the winter sees people on the ski slopes. See, I've practically sold you on the region and I haven't even mentioned the wine! 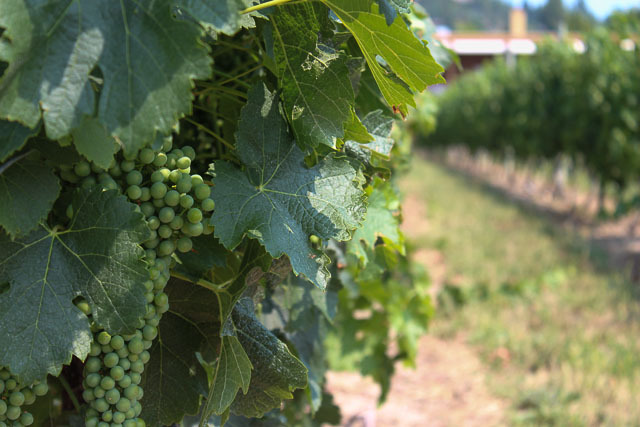 The Okanagan Valley is one of Canada's largest wine producing areas. 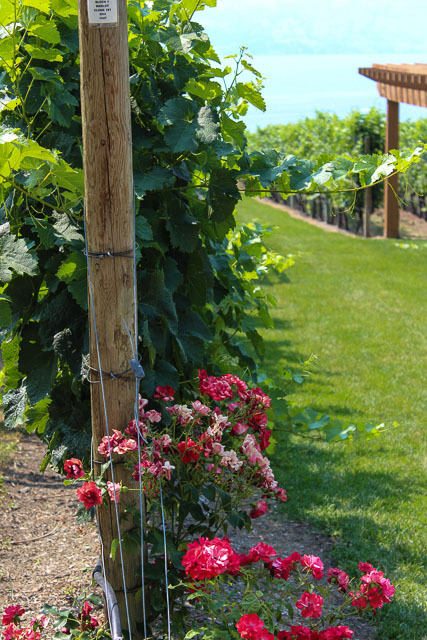 There are vineyards upon vineyards and some 131 wineries ranging from small family run estates to large, well known names. Obviously, wine tours and tastings are a popular activity for tourists and locals alike. 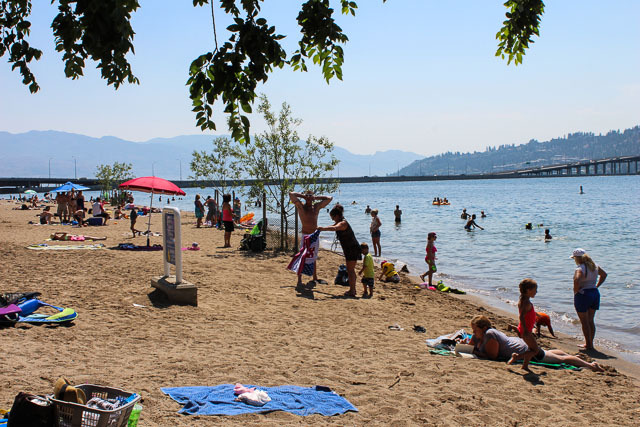 At the beginning of July, we spent a week in Kelowna, the area's largest city. When Expedia Canada heard about our trip to Canada's Wine Country they asked us to share our experience. There are an abundance of wineries right in the city, particularly in West Kelowna where we were based, which made for gorgeous scenery. We could have easily spent all our time in tasting rooms but with the temperatures in the high thirties, the pool at our rental house was just too alluring. We did, however, take full advantage of vacationing with grandparents to escape for one special night, sans baby. 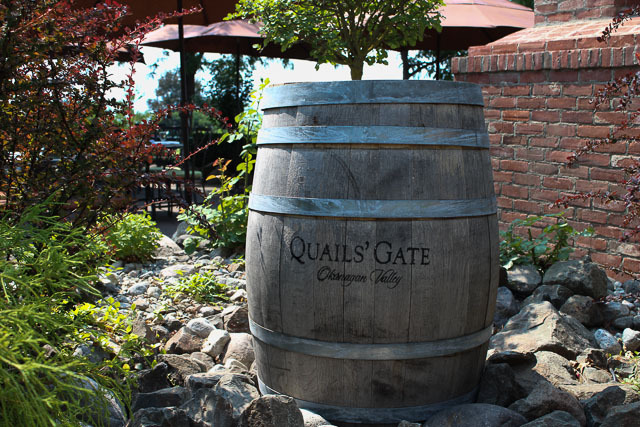 Quail's Gate Winery is one of the most well known wineries in West Kelowna and it's restaurant, Old Vines, is consistently ranked as one of the best in the region. 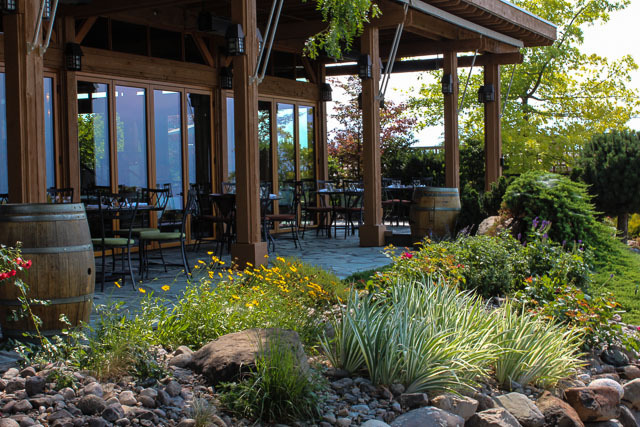 Joe and I booked a table for an evening of wine and delicious farm-table dining overlooking the Okanagan Lake and it couldn't have been more perfect. The food and the wine were delicious and the sunset was stunning. After dinner we took a walk through the vineyard, hoping to extend the evening just a little longer. It was one of those nights - the kind that make us a little nostalgic for our homeland. Oh my word, it has been seven months since I've talked books on this blog! I'll get right to it. At 83, Etta has never seen an ocean. While her husband sleeps, she takes off on a journey across Canada on foot with only her boots, a rifle and chocolate. Weaving between past and present, we follow Etta's journey as well as her husband, Otto, and Russell, who has been in love with Etta for decades. The story is beautifully written and equally heartwarming and heartbreaking. Set in Las Vegas, we follow three characters whose stories start to intertwine. Nothing like one expects of a story in Sin City, we see a woman whose long term marriage is crumbling, a soldier returning home from war and a young immigrant boy who will make you love him immediately and then completely tear your heart apart. I longed for the chapters based on young Bashkim and many times, wanted to reach right into the book to hug him. The other characters weren't quite as strong for me but this was a good book. Certainly not a light read but one that will keep you thinking long after you finish it. France, World War II, no one thinks the Nazis will invade. Two sisters, each making their own sacrifices and showing bravery in completely different ways. Everyone seems to rate this book very high. I wanted to love it (I normally love historical fiction set in WWII) but I just didn't. There was something about the writing that just wasn't for me and I occasionally found the story predictable and a little cliché. Joanna is 23, left graduate studies and moves to New York with aspirations of becoming a poet. She's broken up with her long term boyfriend and taken up with another, riskier man. Desperate for money, she takes a job as an assistant to a literary agent who happens to represent the secluded, J.D. Salinger. While it's decades after Catcher was published, Joanna is put in charge of answering bags and bags of fan mail which she is supposed to do by sending a standard letter from the agency but often the heartfelt letters beckon her to respond more personally. As she does this, she begins to find her footing both in her job at the agency but also as a writer herself. I really, really enjoyed this book. It was the type of read that had me feeling like Joanna was an old friend. I liked the slow and steady pace of the memoir and as happy as I was with the progression of the story, I really didn't want it to end. I know, I know. I can't believe I've never read this either but we didn't do it in High School when everyone else seemed to have read it. All the talk about Watchman had me feeling left out so I finally delved in. There's a lot of discussion about this being a coming of age novel but I must say, I'm really enjoying it as an adult. Scout kills me. Anyways, I'm three quarters done and making myself put it down every night so I can actually get some sleep. I loved The Paris Wife so when I saw the author just published her second book, I jumped on it. This one is a story of expats in Kenya and it is also based on the stories of real people. 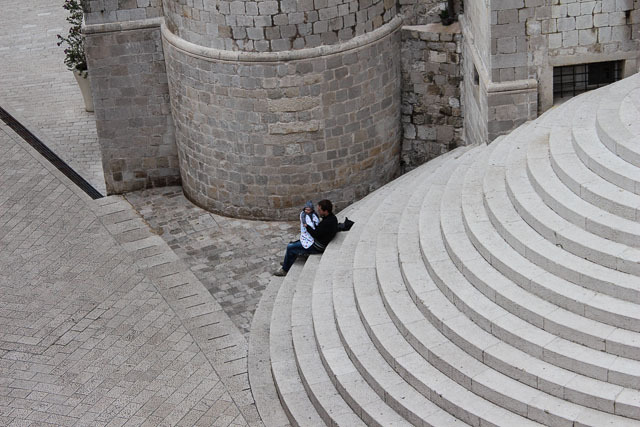 Spotted my boys taking a break from the baby carrier while I walked the walls above Dubrovnik. One of the things that many parents will lament to non-parents, parents to be and new parents is that travel with a baby is impossible. (If I had a nickel every time I heard, 'You better travel now because once that baby arrives, it's over.') 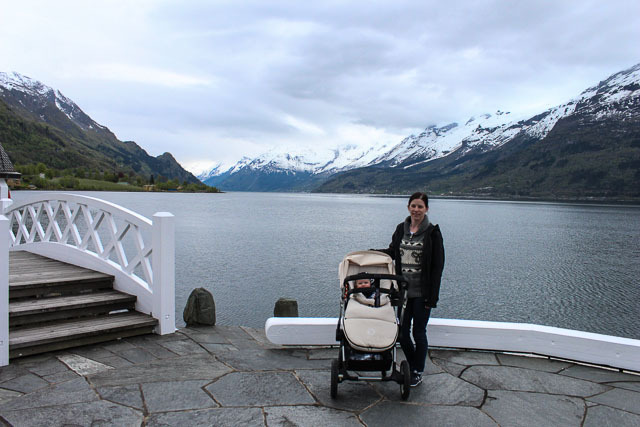 While things might look a little different, travel with a baby is doable, even enjoyable. In Jasper's short 10 months on earth, he's taken 25 (? I've lost count) flights, crossed the Atlantic Ocean six times, taken a city break in Copenhagen and spent nearly two weeks exploring Croatia. As with any travel, there are high points and low points but we haven't regretted a single trip. Our three transatlantic trips have come at very different stages and likely the next will present completely new challenges. By far, the easiest was Jasper's first trip to Canada when he was 10 weeks old. I remember being more nervous about it but he was still a sleepy newborn and he basically slept the entire flight. Naps on the go were easier and there was no extra food to lug around. (So, if you're pondering that trip with a newborn, pull the trigger!) We've had one terrible, long flight but one out of a couple of dozen is nothing and it was nearly forgotten a day or two into the trip. While we still have a lot to learn, especially as Jasper grows, we have racked up a few tips for travel in the first year. +Bulkhead seats on long haul flights have the most room and are often where the baby bassinets can be fitted. Even if your baby refuses to sleep in them (side eye, Jasper) they can be a great spot for your baby to hang out when you eat or need to rest your arms. When your baby is older, you can refuse the bassinet and make a little play place on the floor. +Neck pillows make great mini-breastfeeding pillows, can prop a baby up or support your arms while holding a sleeping baby. +Pack enough diapers, wipes & food to generously get you through transit plus one day then, buy what you need at your destination. The plus one day is important - first, if you get delayed, bumped off a flight, miss a connection, etc. you won't also be worried about keeping your baby clean, fed & happy. If your transit is as scheduled (hooray!) you can relax & sleep without rushing off to track down supplies right away. +An emergency kit with baby Tylenol, teething supplies, the snot sucker, saline solution, etc can be a lifesaver. Make sure it's on the plane with you. +Pack a few toys for the flight but don't bring them out all at once! Prepare to walk a lot so an aisle seat is always crucial. Flight attendants will help but you have to ask for it. If it's a rough flight, pay no attention to others and do what you need to do to survive. +Hotels or apartments? Staying in hotels worked well for us when Jasper was really young. After about the 6 month mark, he became a lighter sleeper. Sharing a room now means a lot of extra night wakings, earlier mornings & Joe and I huddled in the bathroom or around a screen trying to silently occupy ourselves from about 8 pm onwards. Apartments or hotel suites with a separate sleeping space make the evenings much more enjoyable for all of us. +If you're going to stay in an apartment or house, try to find one with laundry. It cuts down on your packing in a big way! Also, ask about baby equipment. Many rentals will have beds, baths and high chairs available for free! 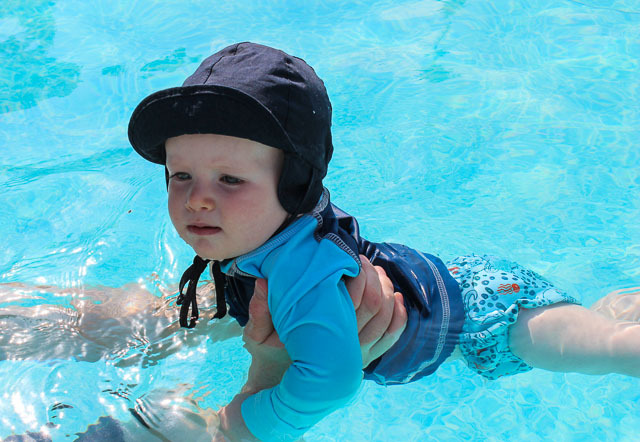 +If you are flying in and out of the same place, look into baby equipment rentals. You can rent anything from car seats to strollers to beds to buckets of toys to high chairs. (We used this one in Kelowna & it really cut down on the amount of stuff we had to fly with.) It might feel pricey but if it's going to save you extra baggage costs on flights plus being able to book a smaller rental car, it could very well be worthwhile. +Everyone knows that a well rested baby is a happy baby and a happy baby makes for happy travels. Work your schedule to allow for one good nap at your accommodation and do the rest on the go. If you have a big day with less than stellar naps & a late bedtime, plan your next day to be quieter and make sleep a priority. +Food pouches are excellent on-the-go meals. If you follow baby-led weaning, it makes eating out easier because your baby can snack off your plate (and make good use of the breakfast buffet) but having pouches on hand is a good idea just in case they don't share your enthusiasm for curry. 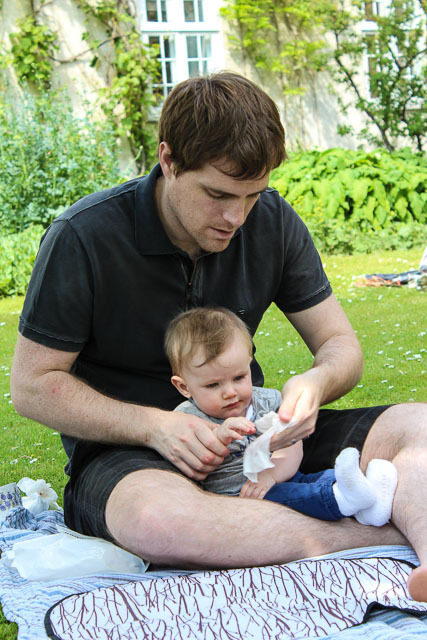 +Dinner time is by far the trickiest time when travelling with a baby, particularly if you're somewhere where dinner is typically eaten quite late. Babies are often at their crankiest at the end of the day which can make a good restaurant experience challenging at best. Eat a little earlier (and take dessert to go.) Restaurants are quieter before peak meal times so you have less people to disrupt and more patient wait staff. Our biggest lifesaver is researching the best takeaway places near our accommodation. Sometimes a casual, low-stress meal in your hotel is more enjoyable than a rush before the meltdown meal in a restaurant. Grab a bottle of wine or a couple of beers for the room, pack a deck of cards, download a movie on the iPad or catch up on some of that sleep you've been missing. +Even babies who aren't on the move need to stretch their legs. 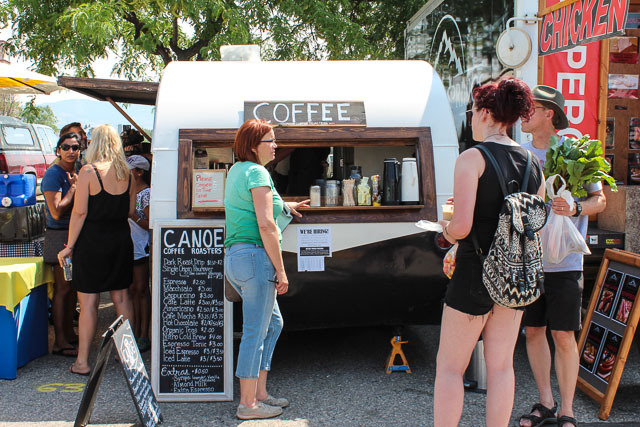 Grab a coffee and a snack, find a nice park and let the baby out of the carrier or stroller. +When traveling in Europe, bring a wearable baby carrier. Old cities are famous for stairs and strollers can be a real hinderance when you're trying to explore. +When planning your itinerary, remember that visiting a different city every day is challenging for adults let alone an infant. Give yourself some grace time and don't expect that you'll be able to work a checklist like you used to. +This PramPack is excellent. It protects the stroller & car seat and rolls up nice and compact when you aren't using it. +We love our Ergo 360. We use it in airports (and check the stroller) and when we're somewhere that isn't stroller friendly. +When Jasper was younger we loved our Sleepyhead. He slept in it at home every day but we also packed it in the PramPack when traveling. He always had a place to sleep and we didn't need a playpen/travel cot. +These are our new favourite airplane toys. +High chairs are not very common in much of Europe. These are small, portable & super handy. We also like disposable bibs when traveling.